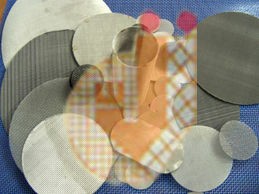 Filters & Elements are a part of wire cloth and fabricated as per party’s specification. 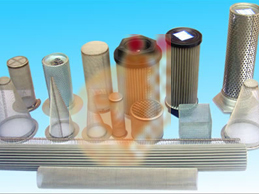 Filters &Elements fabrication is done to fit the process requirements. 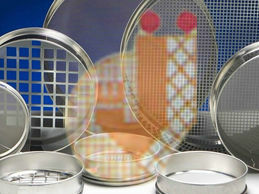 It is an ideal resource for Durable, Accurate, Filtering, Sizing, Straining, Heat Treatment & many more purposes. Filtering Sieve made with Joint Less Brass or Stainless Steel frame, with wide range of materials, sizes, shapes, microns & configurations used for evaporation, absorption, filteration or segregation, in mainly 8” / 10” / 18” / 24” dia or as per customers requirements. 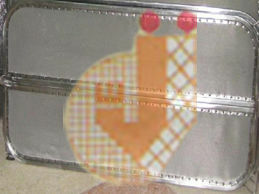 It is made from Plain mesh / Twill weave, Perforated Sheet, Expanded Metal, Welded Mesh in material 202 / 304 / 316 are fabricated in different shapes&sizes. Multi Layered Wire Mesh filters are either brazed or spot welded& then can be fitted in either seamless Aluminum orStainless Steel Frames. It can be manufactured in any shape which suits clientsspecification. Leaf Filter is designed from Stainless Steel Coarse mesh acting a main support & Hollander Mesh for filtering. Meshes are held together in a tubular leak proof frame by help Stainless Steel frame. Basic used in Chemical & Oil Industries. Specially designed & fabricated from knitted wire of various metallic materials with or without grid support to suit the specific process configuration. It is used for separation of liquid matter in gas or vapor. Our Demister Pads are tailor made units, designed to achieve the optimum results with minimum drop in pressure. It is also called Mist Eliminator. Candle Filter is a cylindrical shape filtering element mainly arranged vertically for handling applications that require efficient low moisture cake filtration or high degree of polishing. 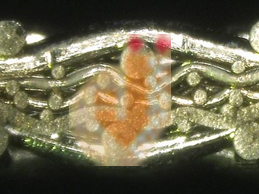 Sintering a wire mesh is process that involves bonding of range of Wire Mesh. This process produces a stable, secure, mesh that can be used for filtering as well as sustaining high pressure. 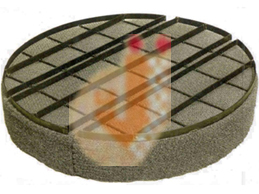 Compressed Pads manufactured from Knitted Wire Mesh are highly effective to absorb the heat, vibrations, sound. It is light weight, efficient & compact & has application in various Industries. 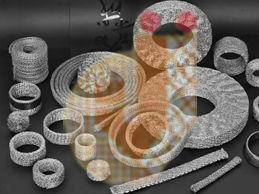 It is manufactured in round or square hole mounted with sheet along with mesh pressed in between. These have friendly user design and are extremly easy in operation and maintenance. 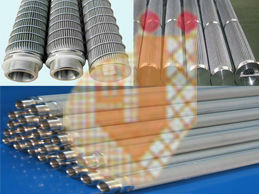 Sifter is manufactured from 4mesh to 250mesh in various diameter from 20 inch to 60 inch as per party specification. 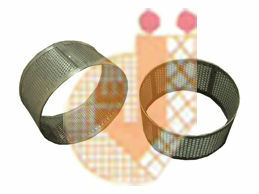 The mesh is pressed with Stainless Steel ring with or without Silicon mould.